The air quality in California isn't that great with the wild fires taking place right now, it is just really bad on so many levels. 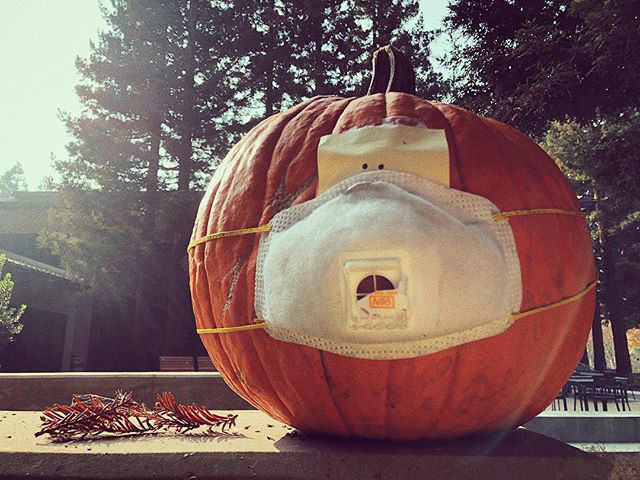 One person put a face mask on a pumpkin at the Google office to make that point. It was posted on Instagram and said "😷 it’s #spooky.... #californiafires #campfire #fire #smoke #n95 #bayarea #mountainview #california 🧡"